Who Runs the Lake Show? 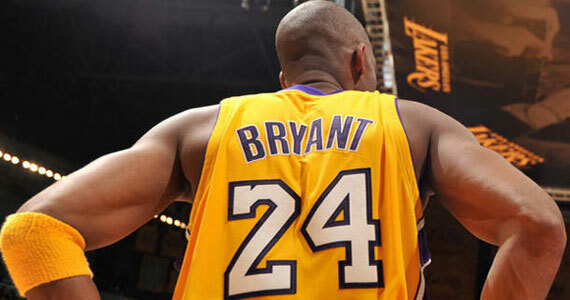 There’s no doubt about it, Kobe Bryant is the best player on the Lakers, if not in the entire NBA. He is the floor general. Between the baselines, he runs everything. If he wants to score, he scores. If he wants to pass, he passes. I have no problem with this whatsoever, but who runs the show behind the scenes? If the organization is run correctly, it shouldn’t be Kobe Bryant. The recent handling of the hiring of former Cleveland Cavaliers’ coach Mike Brown shows that, maybe, things aren’t as they should be in the Lakers front office. Does Mike Brown stand a chance in Los Angeles? He might have to bow down to Lord Kobe if he wants to stick around a long time. A quick review for my newbies… When the Lakers were eliminated from the playoffs by the Dallas Mavericks earlier this month, legendary coach Phil Jackson officially retired. in all, he spent 22 seasons on the bench for the Chicago Bulls and L.A. Lakers. In his career, Jackson had the honor of riding four of the best players in NBA history (Jordan, Pippen, Bryant, Shaq) to 11 championships. After their loss to the Mavs, the Lakers’ front office began the process of hiring a new head coach. Just a few weeks later, they had found their man in Mike Brown. Brown is known for (along with his Royal Highness King Lebron James) turning around the Cleveland Cavaliers and making them into legitimate contenders (until the games really mattered and Lebron choked). In this case, it seems that Kobe didn’t make any demands on who he would allow to coach him, but simply reminded ownership that defense is what wins championships, and that they should focus on a coach who will help shore up the Lakers defense (they had some trouble with that when they got swept by the Mavericks). My question to Jim Buss is why? If Kobe didn’t raise a stink, and has, at least publicly, been nothing but supportive of Mike Brown, why even raise the point that the front office should have asked Kobe first? Since when does a team need permission from a player to hire a coach? If Kobe had allegedly demanded creative control over the coach of the team, this article would be me ripping him a new one for being selfish. Why would Jim Buss potentially mess with the team chemistry with this stupid quote? Quotes like these can only do harm. What if some people, either in the locker room, the front office, or in the stands, start to think, “Yeah. Who is this Mike Brown? Kobe didn’t even get to approve of him and he’s the star of the team.” This has potential to tarnish the Kobe and Brown relationship before it even begins. Let me be clear, a player should never be allowed to make front office decisions (unless he’s Will Ferrell in Semi-Pro where he was both owner and player). When a player feels like he’s the authority in the organization, only bad things can happen. Team chemistry will suffer and, eventually, crumble. I hope I am making my point. I am not, in any way criticizing Kobe Bryant, as he hasn’t done anything wrong in this situation. I wish Mike Brown all the luck in the world coaching the Lakers, although I personally hope they don’t win a game for the next five years (Don’t mind me, I’m a Celtics fan). It just makes me angry when someone involved in an organization goes to the press for no reason and says something stupid like Jim Buss did. So who runs the Lake Show? They should probably figure that out soon, and those who don’t run the team, should probably just keep quiet. Loose lips, as they say, sink ships.